For those in search of nimble car-like handling, but the space and off-road capabilities of an SUV, the 2014 Mercedes-Benz GLK-Class in Merriam, KS may just be the answer. Built on a solid German-engineered frame, the GLK-Class of SUV compromises nothing in terms of ride quality - no matter what surface it’s placed on. Breaking away from the traditional crossover SUV style, the GLK-Class remains distinct in the market with its muscular body design instead of the more rounded and soft approach of its competitors. With strong body lines running from bumper to bumper, the GLK-Class of SUVs is able to remain incredibly stable and composed at high speeds. 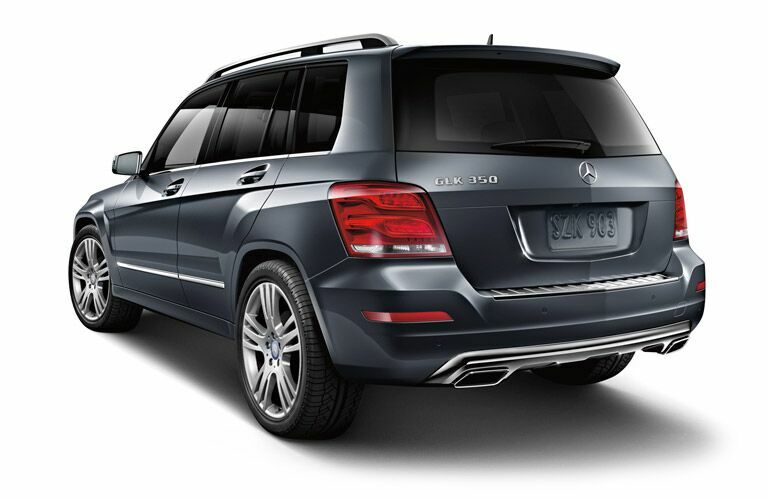 Would you like to drive the 2014 Mercedes-Benz GLK-Class? Contact us today and schedule a test-drive! Are you looking for a new Mercedes-Benz GLK-Class in Kansas City, KS? Inside of the 2014 Mercedes-Benz GLK-Class in Merriam, KS drivers will find themselves immersed into a cabin filled with style and class. 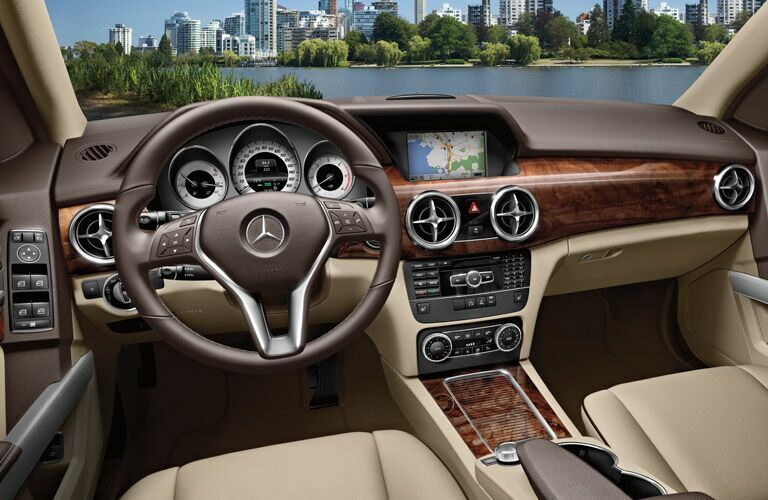 Rich wood grain and metal-look accents engulf the GLK-Class wing-like dash, and soft-touch surfaces are scattered throughout. Wrapped around the seats, steering wheel and elbow rests are high-quality materials that offer both comfort and longevity for years to come. The 2014 GLK-Class of SUVs offers many options when it comes to comfort features, allowing it to be configured to any drivers liking. Rear-folding seats and generous amounts of head room are also available, making the GLK-Class perfect for hauling passengers and cargo alike. When properly equipped, the GLK-Class can haul even more cargo with its 3,500 pound trailer rating. The 2014 Mercedes-Benz GLK-Class Merriam, KS is offered in both gasoline and diesel engine offerings. The gas-version GLK-Class is represented by the GLK350 badging where it uses a strong 3.5-liter V-6 engine to output 302 horsepower and 273 lb-ft of torque. The GLK350 is one of the quickest SUV’s in its class, where it sprints from 0-60 mph in under six seconds. The other option is represented by the GLK250, which uses a clean-burning and bio-diesel compatible 2.1-liter BlueTEC® engine. The GLK250 is one of the most efficient SUVs on the market, where it surpasses even hybrid options by obtaining a very thrifty 33 highway mpg. Both SUVs are available to be paired with Mercedes-Benz legendary 4MATIC® all-wheel drive technology. 4MATIC® smartly recognizes wheel slippage and reconfigures torque distribution, sending the most amount of power to the wheels with the best grip. The GLK-Class is able to handle even the most unsettling of road conditions with ease.